MDfitness, The Doctor's Workout - the prescription for transforming your life! 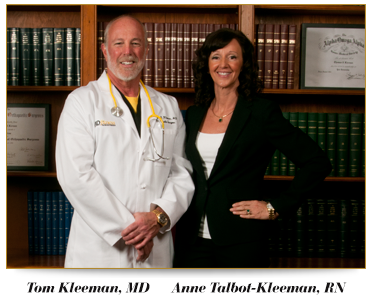 Dr. Kleeman is a board-certified, fellowship trained orthopedic surgeon specializing in spine surgery. 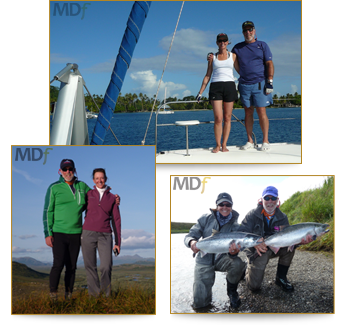 He has devoted his career to the innovation and advancement of surgical navigation, minimally invasive spine surgery and the development of exercise protocols to provide non-surgical treatment options for orthopedic conditions. He is known internationally for his pioneering work on minimally invasive spine surgery and has served as presenter and faculty for numerous spine courses hosted by The North American Spine Society, the American Academy of Orthopaedic Surgery, and The Cleveland Clinic. After finishing his residency at Yale University and Fellowship at University of Baltimore he established the first Multidisciplinary Institute in New Hampshire to specialize in evaluation and treatment of spinal disorders. 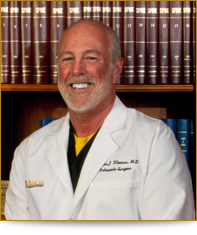 Dr. Kleeman has worked extensively with exercise physiologists, athletic trainers and physical therapists to evolve the field of exercise as it pertains to patients with health concerns. His use of exercise to treat back pain and other spinal conditions has resulted in some of the most impressive outcomes ever reported. His formula of combining cardio exercise, strength training, and balance moves has been the foundation of the non-surgical treatment used at the New Hampshire Neurospine Institute for over twenty years. Dr. Kleeman is presently expanding the use of exercise to help patients of all ages to improve their quality of life while effecting the treatment of many health related conditions from Cardiovascular disease to Osteoarthritis to Alzheimers disease. Let me tell you a story — about 7 years ago, I had been on vacation trying to hike up this mountain, and I got so out of breath that I almost had to quit at the halfway point. When I got home, I went through a complete medical work up to find out that my only problem was that I was "out of shape". I had been prescribing exercise programs for my patients for over 20 years, but realized I wasn't following my own advice. Like many people in their middle age years, I was more focused on my family and career than on my health. I tried several work-out programs but found that they took so long that I just couldn't fit them into my schedule. I also concluded that the target audience of most workout videos was actually between twenty and thirty. I wasn't looking for a six pack of abs; I just wanted a better quality of life. In the end I decided if I couldn't find the perfect work-out, I would create it. I drew on my training in orthopedics and exercise physiology at Yale University, as well as my experience in research and clinical practice. I then teamed up with a fitness expert with a strong medical background, who was conveniently also my wife, Anne. Through our research we came across the term "Sarcopenia" which describes the process of muscle loss that occurs with age. Basically we lose 8% of our muscle mass every decade starting around the age of 40. But we also found that there is good news in that most of these problems can be averted with a simple regimen of exercise. Now cardio exercise alone won't prevent Sarcopenia, but when combined with resistive exercise using light weights, even eighty-year-olds can reverse the process of muscle loss. It has even been shown that with exercise you can actually reverse the aging process and make yourself biologically up to 10 years younger. Thus was born MD Fitness, "The Doctor's Workout". Regardless of your age, gender or current fitness level, "The Doctor's Workout" is designed for you! If you follow this simple formula you could literally save your life. So if you are ready to transform yourself to a fitness level you never dreamed possible, let's get started with "The Doctor's Workout".